You are here: Home / Therachat Updates / We’re increasing our prices..
After doing all that work, seeing it take off and with our users even telling us, we believe that our current pricing ($10 per month or $60 for an annual plan) does not reflect the value any longer. This is why on April 15th we are raising our prices to $29.99/month and $199/year for new customers. If you are on an old plan you will stay on it. Forever. We’re incredibly grateful that you believed in our platform when we we’re still experimenting and had some rocky times. You do not have to do anything. You will keep being billed $10 or $60 dollars. For new users, we want to do a special effort. We’re not changing our prices until April 15th. This means that if you subscribe to a plan before then, you’ll be on the old pricing plan and stay on it forever as well. 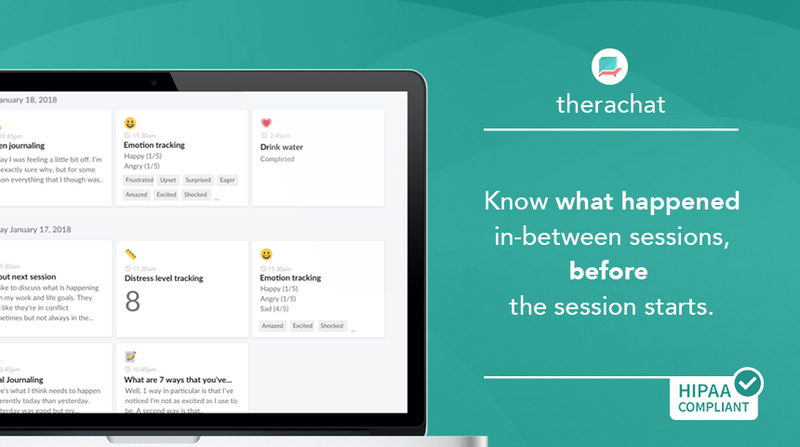 Therachat is an online, HIPAA-compliant web and mobile platform that breaks down client resistance, helps you engage clients in-between sessions, and documents client progress.